The festival is clearly going to be a success, BAC was full to the extent that the staff and volunteers there were stretched and the festival programme looks fascinating, a series of performances for an audience of one, and while I don’t know the exact maths of the timings I suspect there is enough variety there that many people will have unique combinations. Of course, it doesn’t appeal to me. I’m probably a Philistine, I suspect because – despite leading a middle class life now – my working class background does not leave me equipped for things artistic. I fear that as an audience of one there would be too much pressure on me to appreciate something that I just might not appreciate. But that is part of the point of BAC. And will, eventually, bring me to a theme I regularly repeat here. Looking through the programme there are several in there that I immediately find interesting; but there are several that I immediately question. For example, the second feature on the programme is ‘The Pleasure of Being: Washing, Feeding, Holding’. Is that art, or is it just some guy giving you a bath and a bit of a cuddle afterwards? Is it art because it challenges us to think about how we interact with strangers? Or is it art only because it’s forced me to try and come up with an explanation for it? BAC has a national reputation for its work, which is well deserved and rooted in it’s ability and willingness to innovate and challenge. It might not be for everybody, but it’s not meant to be, it is there to drive forward the arts and to do that it needs to be able to experiment. In 1998, shortly after I became a councillor, I got a phone call from the then director of BAC explaining why the money Wandsworth Council gave BAC was vital to keep a regional resource running providing cutting edge theatre. And that, essentially, became an argument that ran for years. Why should a local council fund a regional resource that provides a niche product? The most obvious answer was that if we didn’t no-one else would. So whenever we looked at what we were spending on BAC it would prompt a torrent of letters, emails and phone calls. I think I probably got the one from furthest away last time, from somewhere in New South Wales which was about the closest you can get to the exact antipode of BAC. But in a way this just reinforced one of those arguments, why was the local taxpayer funding something that was clearly serving not just Wandsworth, not even the immediate boroughs, but a huge area, covering not just south-west London, but arguably the whole south-east and beyond. Any one of the consequences has been that BAC and the council agreed it shouldn’t. The new arrangement is that BAC has a long lease for its building from the council, while the council only directly funds activities that meet its needs, for example with old or young people. A consequence of this independence has opened up extra funding opportunities for the centre. 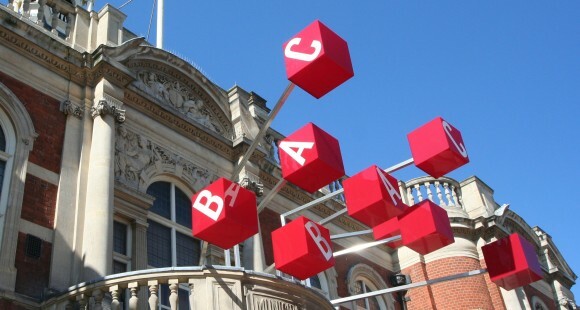 Based on last night BAC is continuing to thrive and provide cutting edge theatre – if anything the council’s funding was a crutch, not a solid foundation, for BAC. And that theme I said I’d eventually get to… Well, it’s my Wandsworth sausage again. It’s about how the council can shape an area without, necessarily, being responsible for everything in that area. BAC is a clear example of how this can work. By coming to what is effectively a commercial agreement with BAC we have created an environment in which theatre and the arts can thrive in Battersea, this in turn affects the local culture and economy. I was in a meeting the other night where someone referred to a phrase that the council, apparently, used to use to describe itself and its ambition: “An Enabling Council”. It has echoes of Big Society and, perhaps, it’s something we should be using more consciously again. Instead of bluntly funding directly, or doing things ourselves, BAC is a prime example of the success that can be created when the right environment is nurtured.